Lesser-known facts include that Bob actually had it built in to his touring contracts that he should have ready access to a football pitch. Although he was also just as likely to be seen kicking a ball in parking lots, fields, and even inside recording studios. Additionally, few people know how good of a footballer Bob really was. 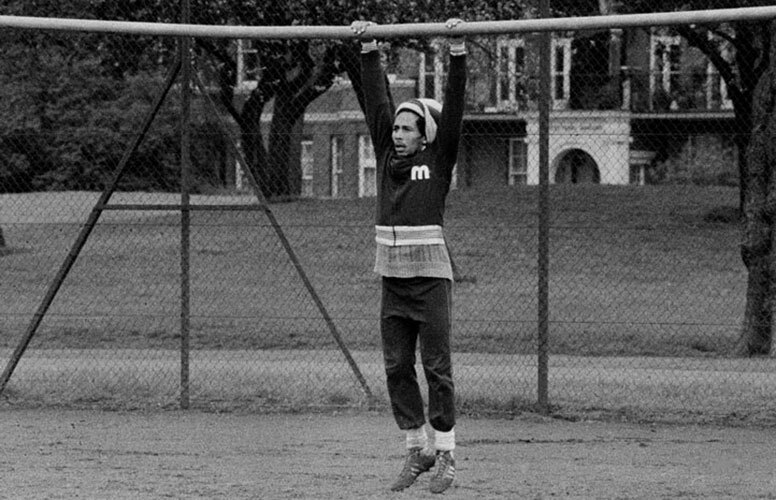 Trevor Wyatt, the UK distributor for Island Records (Marley’s record label) who saw Marley play in pick-up games around West London, said of Bob’s game, “Trying to get the ball off him… was just hopeless. Because Bob was the person he was, the ball always came to him. He was the midfield general, if you like, and they called him Skipper. 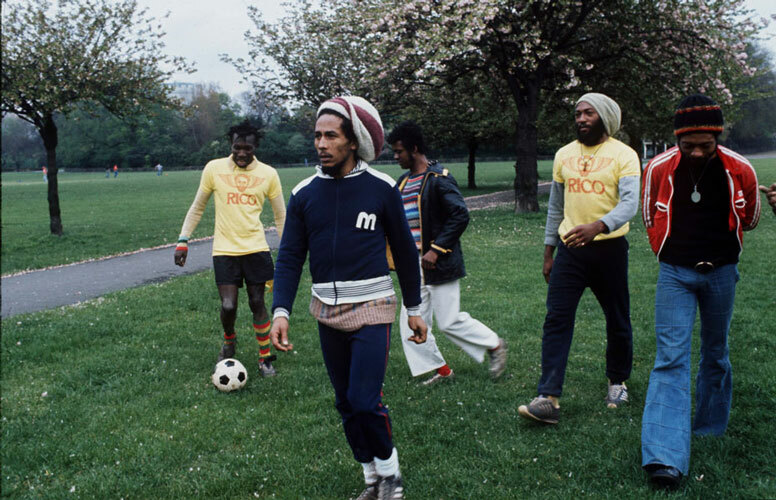 They were so good, it was like playing Brazil.” Growing up he followed the Brazilian club Santos and its star player Pelé, who was to become as legendary and ubiquitous as Marley himself. 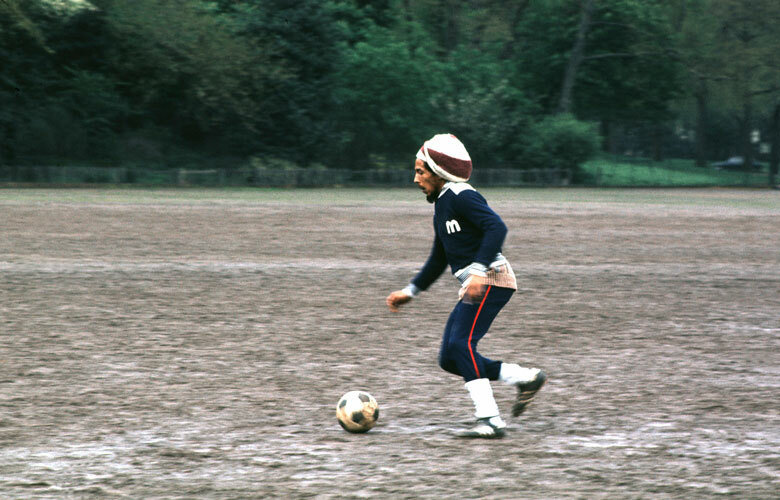 The images on these pages are from a kickabout in Battersea Park, London, that occurred in 1977, during the making of the ‘Exodus’ album. 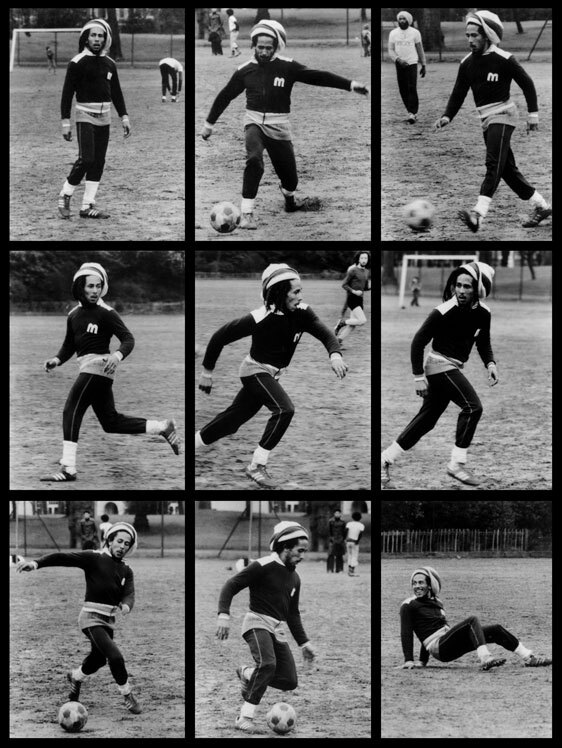 Photographer, Adrian Boot, a renowned music photographer, captured these iconic images that perfectly capture Marley’s love of the ‘Beautiful Game’.